You can take a bus, a minivan, a plane or you can drive yourself by motorbike from Chiang Mai to Pai. Most people choose to book a minivan for the trip from Chiang Mai to Pai. There are several reason for this: 1. It is a long way from Chiang Mai to Pai on a very windy and at times steep road. Driving this road is dangerous. 2. Minivan tickets are cheap and can be booked online. 3. Travel by minivan is actually quicker than travelling by motorbike or plane once you take account of the various delays you will encounter. On this route the best minivan and bus services are provided by the Prem Pracha Company and Jolly Travel. They depart from different places in Chiang mai, but both terminate at the bus station which is located in the centre of Pai Town on Walking Street. See below for more details. Use the Search Box below to find your tickets from Chiang Mai to Pai. Booking in advance is recommended because by booking in advance you save for yourself what can sometimes be a long wait for the next available seats on a minivan. Compare tickets prices and travel times. The Prem Pracha company bus and minivan services from Chiang Mai to Pai depart from Chiang Mai Bus Terminal 2. This company has its own office in the car park of Bus Terminal 2. 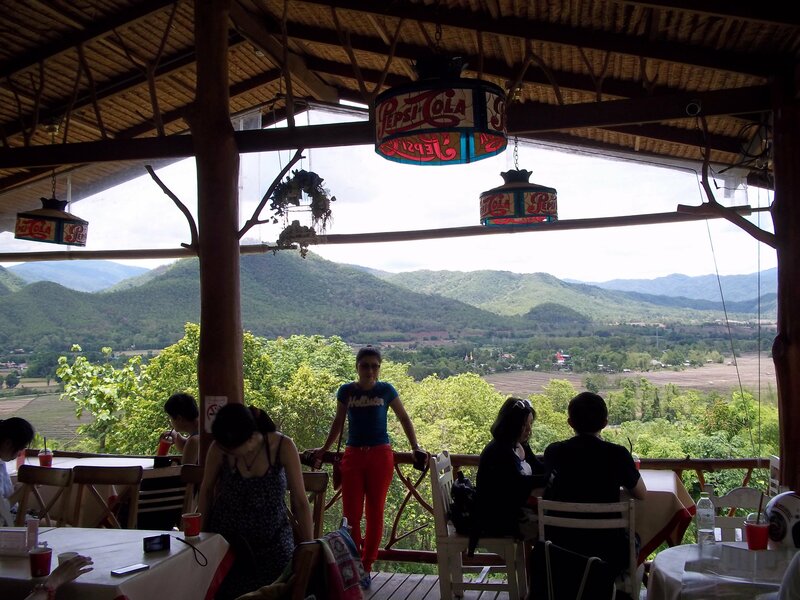 There are services every hour from Chiang Mai bus station to Pai bus station. Chiang Mai Bus Terminal 2 is located on the Kaeo Nawarat Road Soi 5, about 3 km from the Old Town and 1.5 km from train station. From most of the popular areas in Chiang Mai you need to get a tuk-tuk or songthaew (converted pick up truck) to get there. Expect to pay around 100 THB to get there. The Jolly Travel minivan service departs from the Red Brick Guesthouse near to Chiang Mai Old Town. This is service is more popular with foreign visitors than the Prem Pracha Service because it saves the need to travel to Chiang Mai Bus Station, which is some distance away from Chiang Mai Old Town. The only other difference is that the Jolly Travel service is 155 THB more expensive than the Prem Pracha Service. The Red Brick Guest House is located on the Chang Klan Rd to the South East of Chiang Mai’s walled Old Town. From the Tha Phae Gate it is a 1.5 km walk to the Red Brick Guest House which should take around 18 minutes to complete. From the Night Bazaar it is a 1.3 km walk to the Red Brick Guesthouse which should take 17 minutes. Alternatively, take a tuk tuk and expect to pay less than 100 THB from most points in Chiang Mai Town. The journey takes in some great scenery although be warned because the road goes up and down high mountains so it has a lot of turns in it. A large percentage of passengers will feel car sick at some point in the journey. The trick is to concentrate on the road ahead. If you read a book or use a phone or a computer (like I did) you are more likely to feel car sick. Minivan and bus services stop halfway at a restaurant and local produce shop with toilets. Consider purchasing some local products like wild rice or local honey at the shop as these unusual products are very cheap and specialities of the region not available to purchase in other parts of Thailand. There are no taxis at the bus station but you are unlikely to need one as most of the resorts are within easy walking distance. 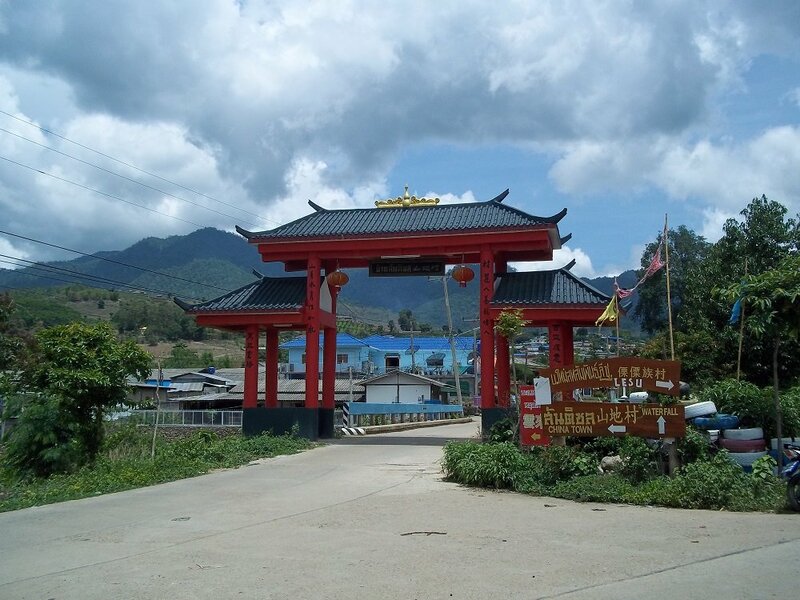 If your resort is out of town phone the resort to pick you up – this is a very common customer request in Pai and most resorts will arrange transport from the bus station for free or a small charge. Pai is a small town and the bus station is right in the centre of the town on Walking Street. See map below. Safety: There are frequent accidents on this route because of the many sharp bends in the road, and because of the steep inclines on route. Condition of the bike: There are not many places to get a motorbike fixed on route. Check the oil and brakes before you depart from Chiang Mai. Gasoline: For an automatic motorbike, such as a Yamaha Click, you are likely to use 2 full tanks of petrol. Refuel frequently to avoid become stranded on route a long way from a petrol station. Taking account of the cost of renting a motorbike and the gasoline costs it is actually cheaper (and safer) to take a minivan from Chiang Mai and rent a motorbike when you arrive in Pai. Overheating: Automatic motorbikes normally start to overheat after about 90 minutes of use, which can make the engine cut out. Plan to stop every hour for at least 15 minutes to allow time for the engine to cool down. Depart in the morning: There are no street lights on this route. Ensure that you set out early in the day (definitely before 11.00) to complete the journey in daylight hours. If you travel in the dark it may be difficult for you to see the road, and more importantly for other road users to see you.